Wonderful commercial building site in rapidly developing south Salina! Located on a cul-de-sac just off of Schilling Road, this site has 43,689 sq ft and is priced at only $1.50 per sq ft! 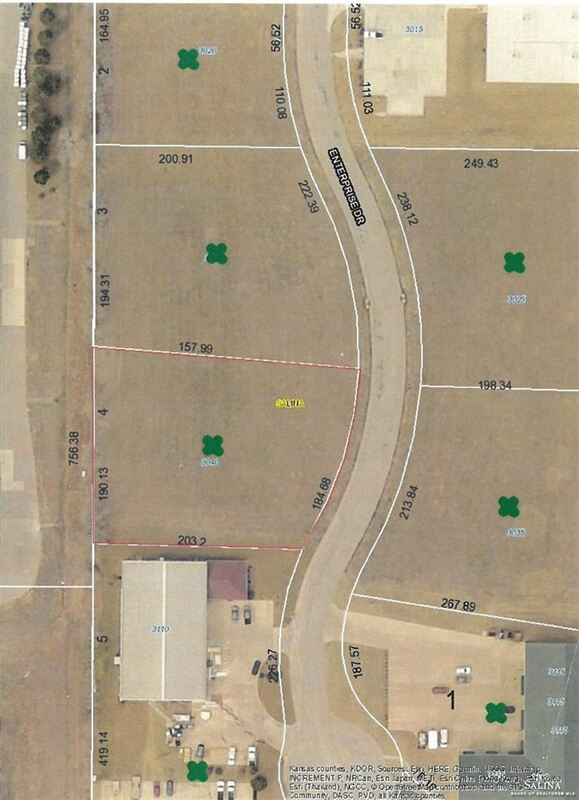 Close to interstate and south Salina industrial area, this site is perfect for just about any type of business. No special assessments. Road and utilities are in place. Only five lots left. Great building opportunity! The approximate monthly Principal & Interest payment for this property would be $286. This payment is based on a 30-year loan at a fixed rate of 4.12 % with a down payment of $6,553. Actual lender interest rates and loan programs may vary.